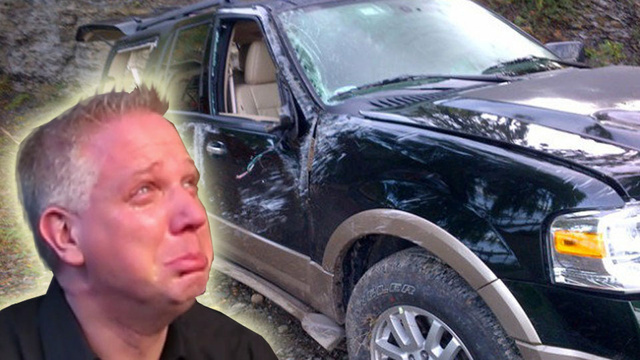 Glenn Beck is lucky to be alive and unharmed after a freak accident occured at his daughter’s wedding last weekend. While in Finger Lakes, NY for his daughter’s nuptials, Glenn Beck escaped what could have been a tragedy. Having parked his rental SUV on a rain-soaked hill, the car slid down the hill and flipped before landing, totaled.